Chapters of us: I am NOT sick!!! I have had a cough since last Sunday, and it is steadily getting worse. It has become chestier (if that's a word!) over the last week... And since today it has started sounding horrible!!! 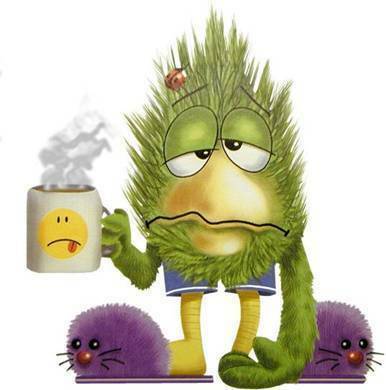 I have had really bad headaches everyday, and i was vomiting last Thursday night- all symptoms of something horrible like a chest infection or bronchitis!!!! I refuse to believe i am sick! I have exam study week next week & exams the week after!!! oh no!!! I had no clue. Hope you are okay. Brother Mike Moores recommmends tucking yourself up in bed with a nice mug of warm Ribena!!! At least that's what he recommended Phyllis do last Sunday as she has the same thing!! Have you had a blessing??? Lisa- i wasn't feeling like it until Monday morning, was fine on Sunday night. Nettie- i had a blessing last week when i was vomiting..